Did you ride the train this summer or fall? Cuyahoga Valley Scenic Railroad’s summer season kicked off with Day Out With Thomas! In the last two weekends of May passengers climbed aboard Thomas the Tank Engine. Thomas and friends even granted the wish of Make-A-Wish child, Jordan! The six-day train schedule resumed on Tuesday, June 5 and ran every day (except Mondays) through October 28. 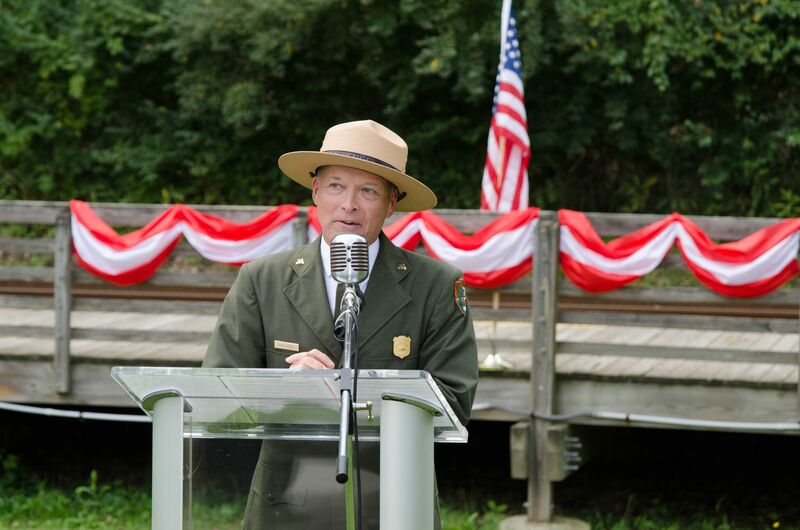 Over this period 44,993 passengers climbed aboard for our National Park Scenic excursion. 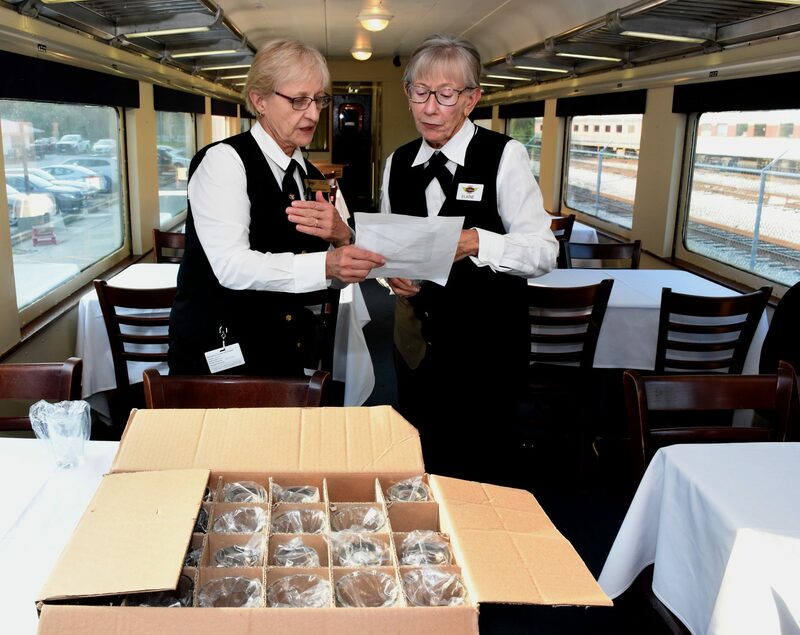 The train ran over 961 round trips from June to October for a total of over 50,000 miles traveled across the 26 miles of track from Akron to Independence. 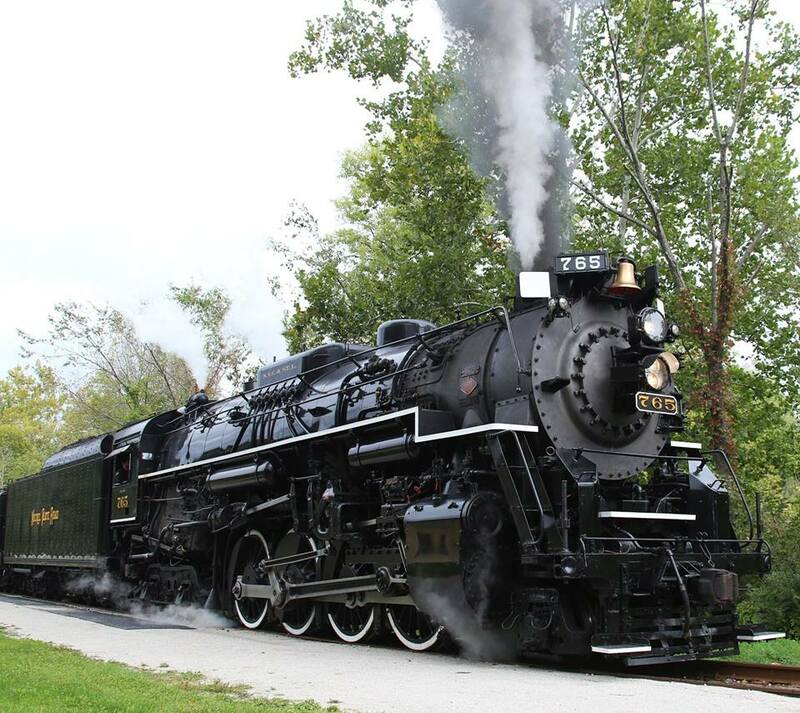 Over 1,946 passengers took the train to Hale Farm & Village living history museum. 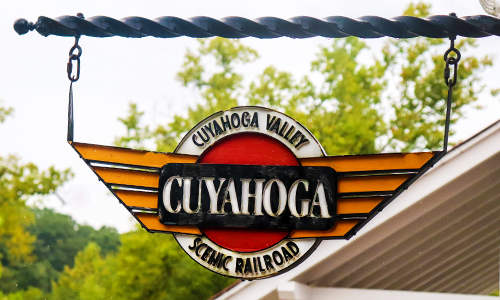 Cuyahoga Valley Scenic Railroad was listed as one of the most scenic train rides in America by MSN and was featured by National Geographic Travel as the best way to see Cuyahoga Valley National Park. 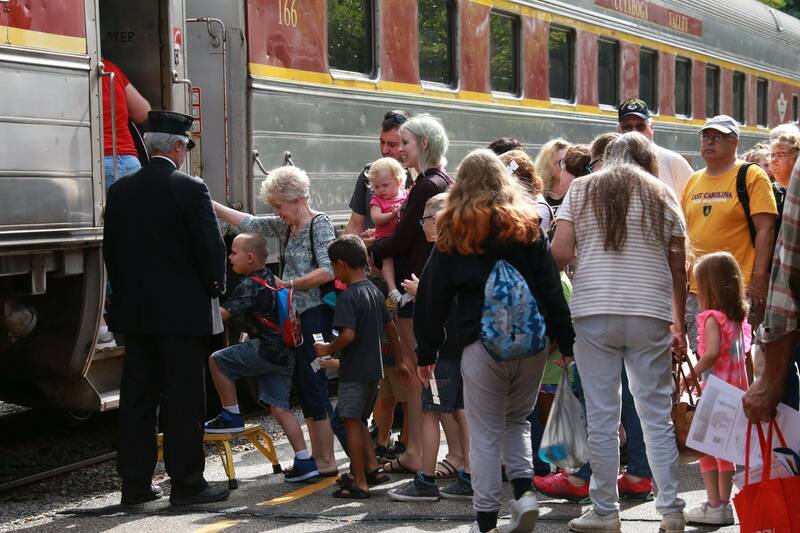 Before the summer season started, CVSR had 285 moms on board the train during Mom’s Ride Free weekend on the National Park Scenic excursion, a total of 1,132 tickets were sold during Mother’s Day weekend. 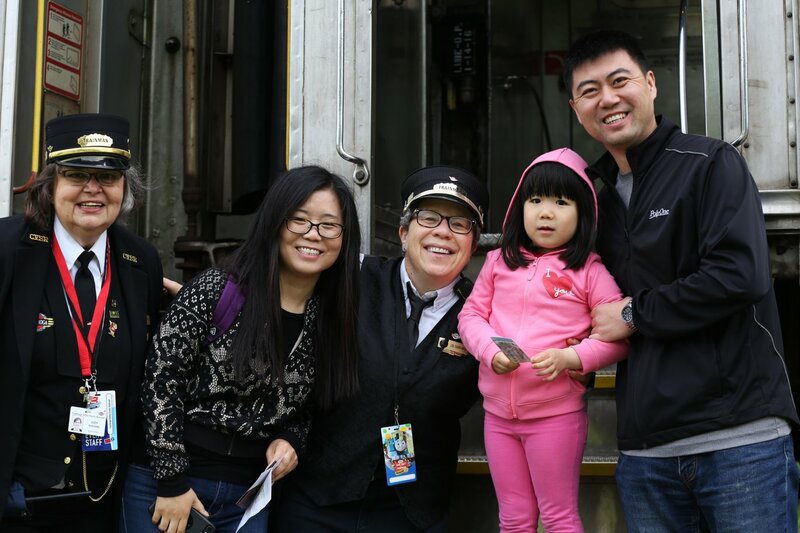 More than 802 moms and families rode on special event trains Mother’s Day weekend including aboard Mother’s Day Breakfast, Muffins with Mom and Drinks with Mom. 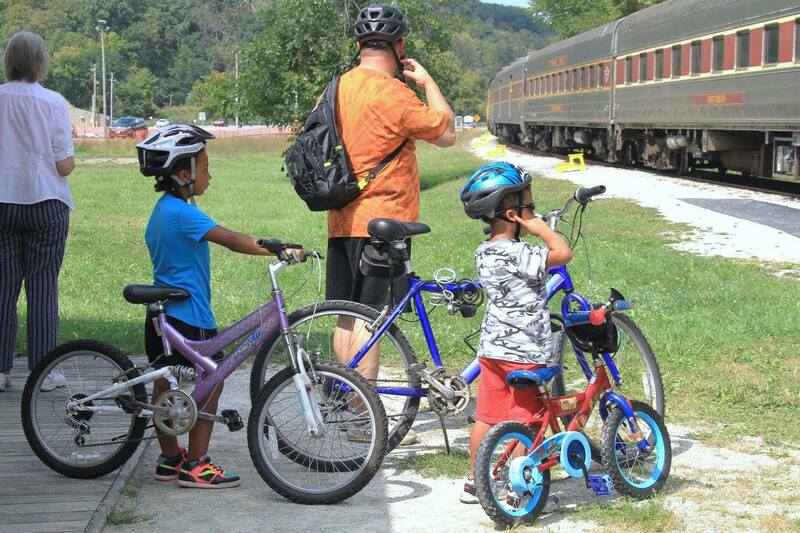 322 Dads boarded the train during Dads Ride Free weekend, totaling to 1,397 passengers over Father’s Day weekend. 603 passengers attended a special event train to celebrate dads such as Father’s Day Lunch, Drinks with Dad, and Family Fun Loop: Draw with Dad. 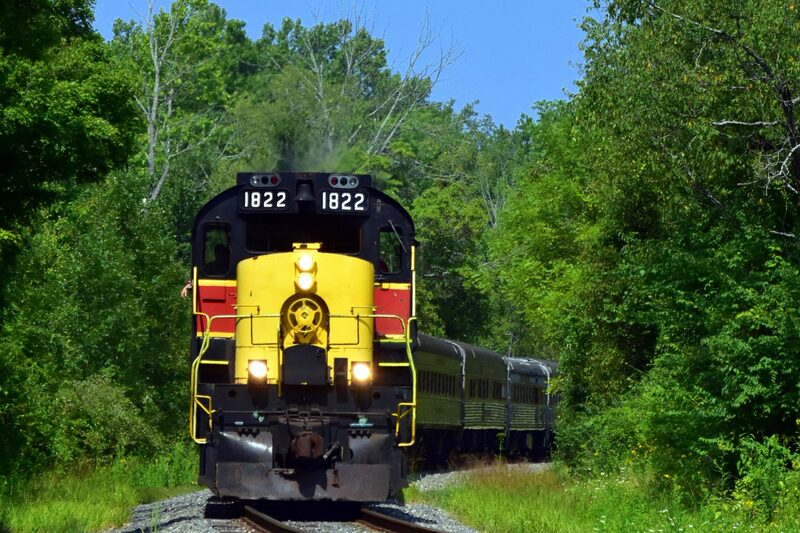 For the second year CVSR offered a Kids Ride Free special on weekdays in August aboard the National Park Scenic excursion. A total of 1,548 kids boarded the train for a free train ride! In August, CVSR publicly announced its first-ever capital campaign. The campaign marked a major accomplishment with the acquisition of four historic California Zephyr train cars. The train cars were transported 2,265 miles from Los Angeles to Chicago by Amtrak, then transported to Cuyahoga Valley by steam engine no. 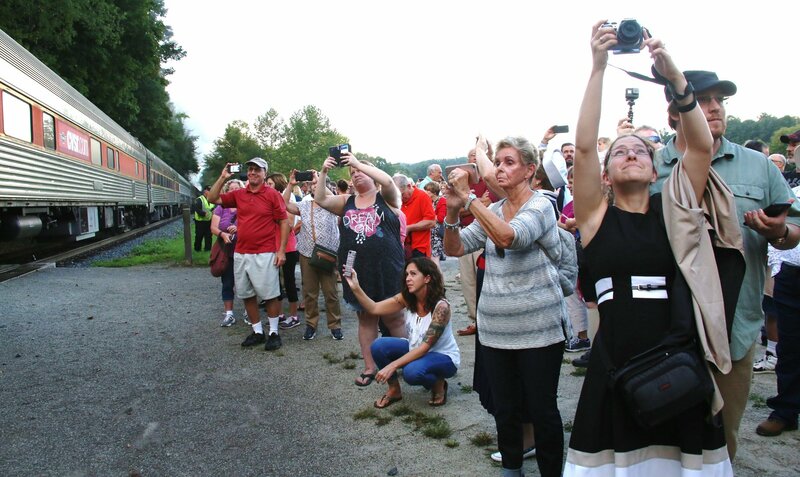 765, where the public was waiting to welcome the cars home. 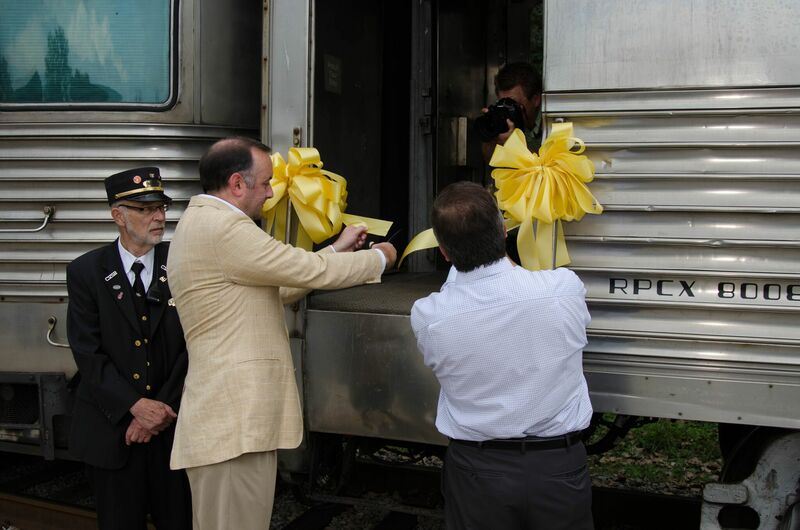 This addition to the fleet enables CVSR to provide new programming and experiences within Cuyahoga Valley National Park. 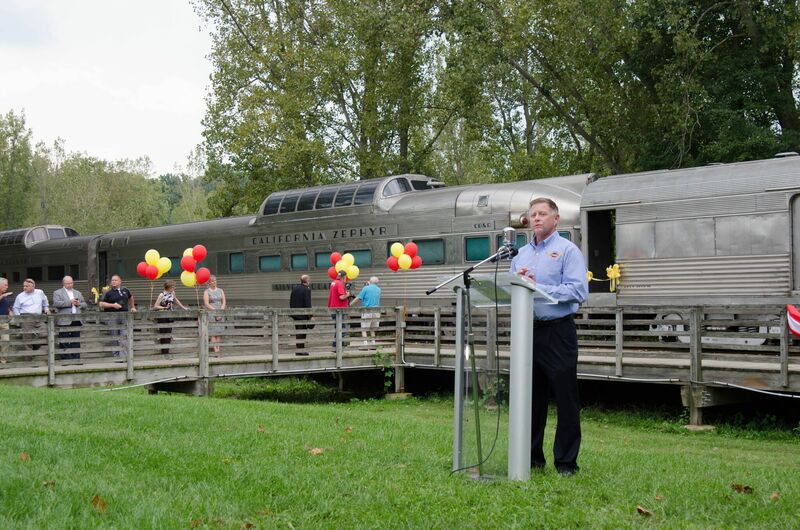 In addition to the acquired Zephyr cars, the first-ever ongoing campaign includes the addition of an Edu-trainment Car that will provide interactive exhibits, an upgrade to an existing dining car to ensure ADA accessibility, and the preservation of CVSR’s fleet of vintage railroad equipment. 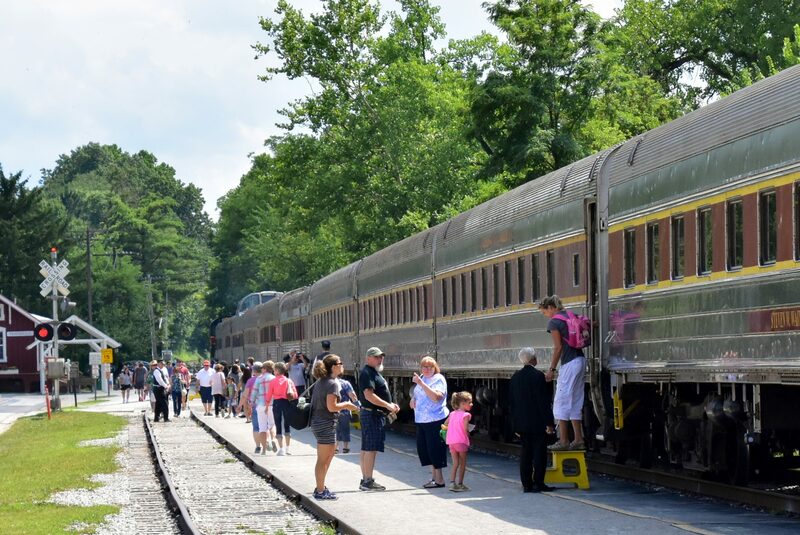 From June to October 4,837 passengers attended special event excursions at CVSR such as Family Fun Loop, Dining on the Rails, Murder Mystery Train, and Canvas & Wine on the Rails. Evening Dining on the Rails was featured as Cleveland Magazine’s Date of the Month! Over 1,300 passengers boarded the train to ride Ales on Rails™, totaling to over 6,400 glasses of beer poured. Ales on Rails™ received national coverage from Vine Pair as one of the best boozy train rides in America. 1,900 passengers climbed aboard Grape Escape, totaling to over 9,115 glasses of wine were poured! Grape Escape also received national coverage from Travel Noire as one of the top five wine train experiences in America. 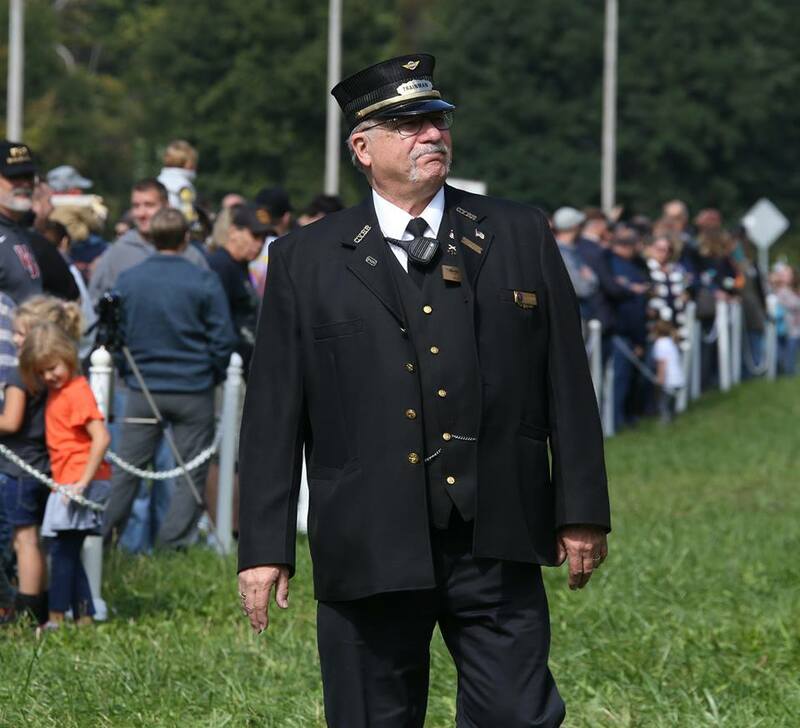 In September, CVSR hosted the Nickel Plate steam locomotive no. 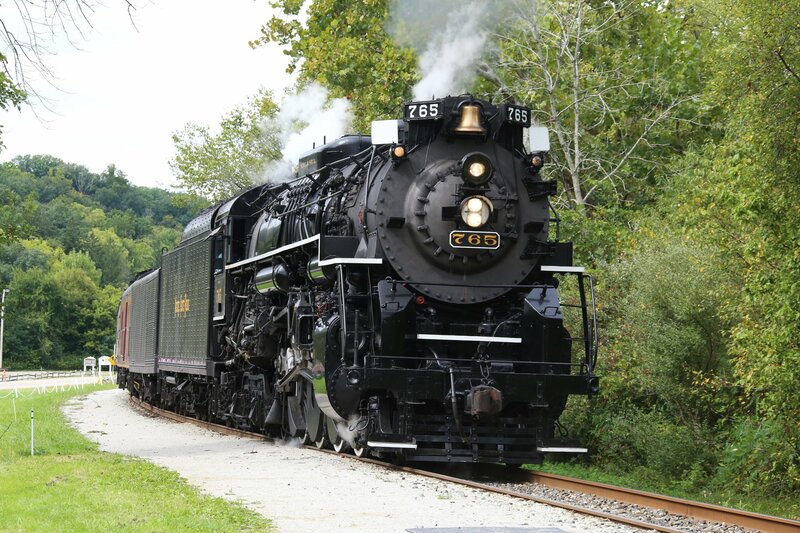 765 for Steam in the Valley. Five of the ten runs were sold out. The recently acquired California Zephyr Silver Solarium and Silver Lariat made their debut in Cuyahoga Valley during Steam in the Valley. 6,958 passengers climbed aboard the train with no. 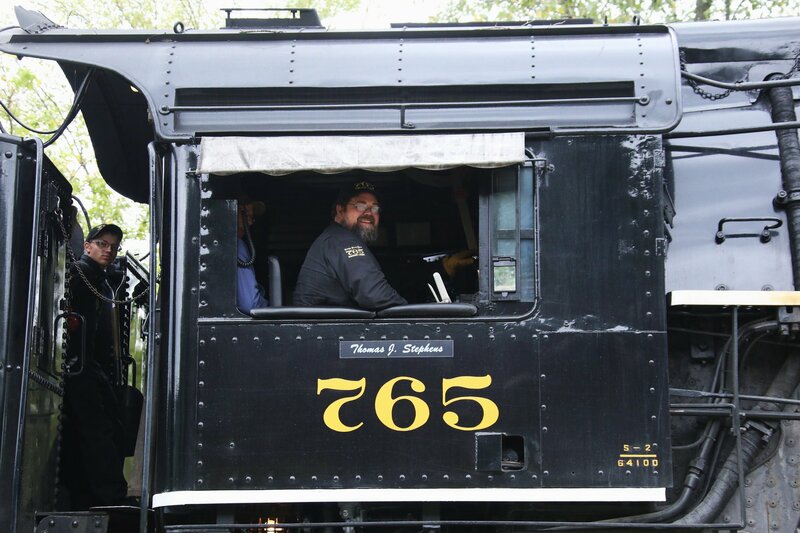 765 at the helm, a record number of riders in CVSR’s history! The Fall Flyer excursion ran on weekends in October for the second year in a row. 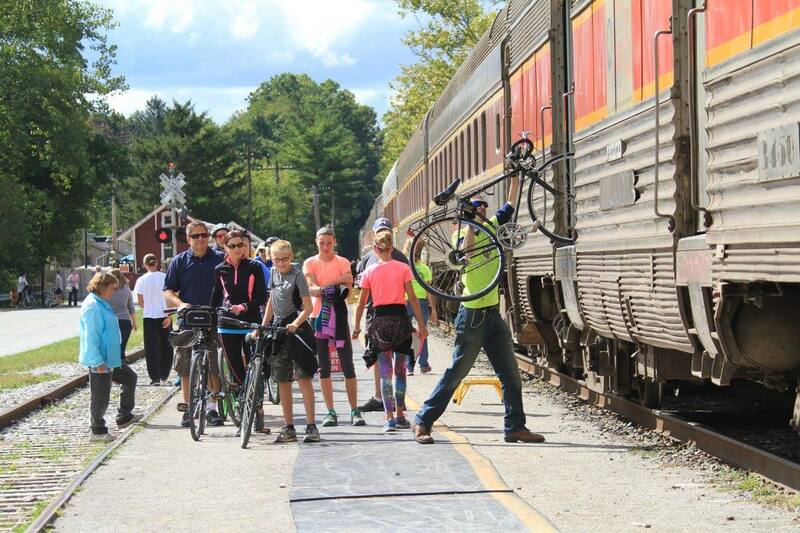 4,668 passengers came out to ride aboard the Fall Flyer to see the fall foliage in Cuyahoga Valley National Park. Passengers even had the chance to ride aboard the recently acquired Silver Solarium, Silver Lariat and Silver Rapids! 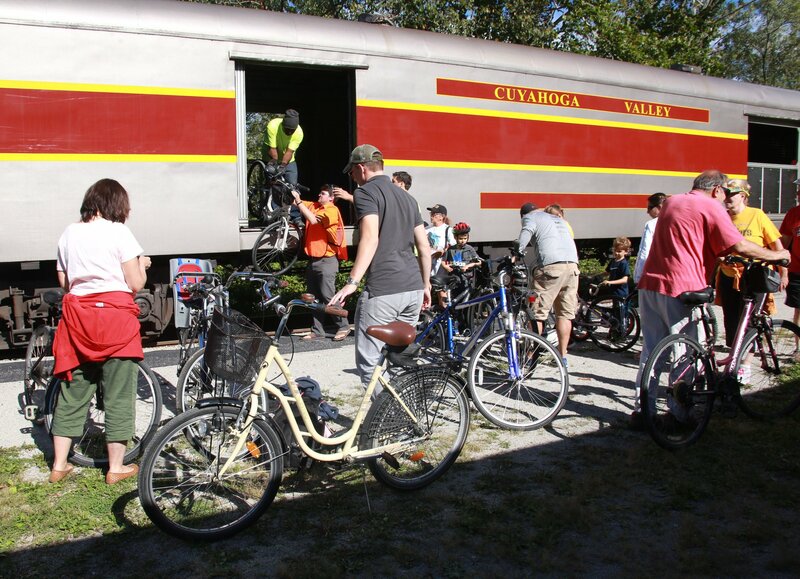 CVSR’s popular Bike Aboard! program began in April and ended on October 28. During that time over 13,021 bikers boarded the train with their bikes. 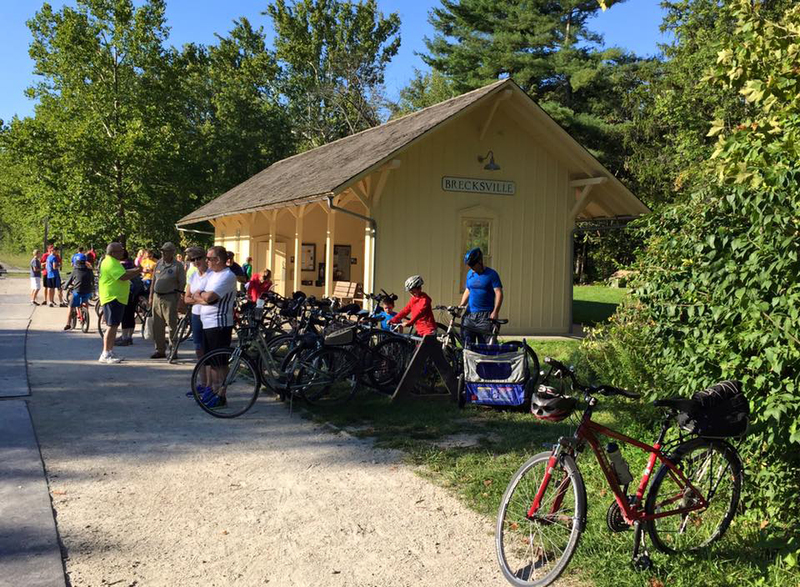 Additionally, 123 passengers brought their Kayaks aboard and 642 hikers boarded the train for the CVNP led Hike Aboard program. 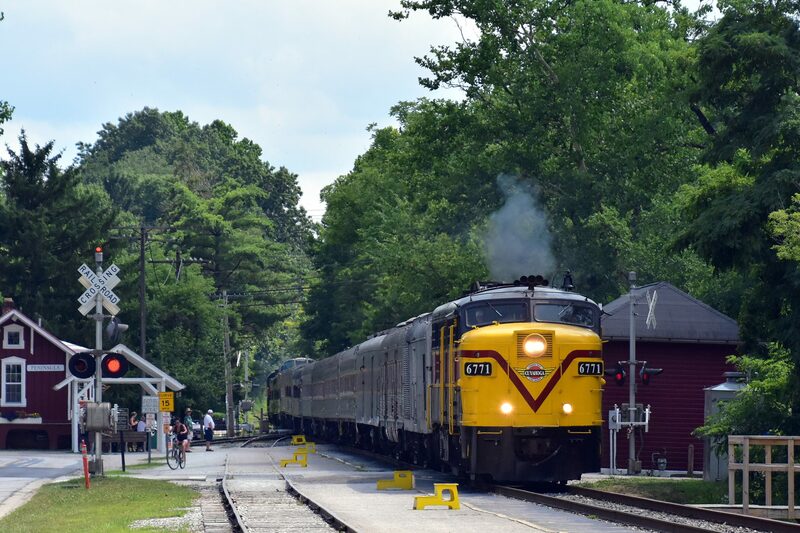 From June through October, 1,1065 memberships were purchased; 59 at the Bike Aboard level; 35 at the Sectionhand level; 847 at the Brakeman level; 143 at the StationMaster level; 14 at the Conductor level; 2 at the Engineer level; and 6 at the Saint Lucie level. Thank you to our members for your support to CVSR! 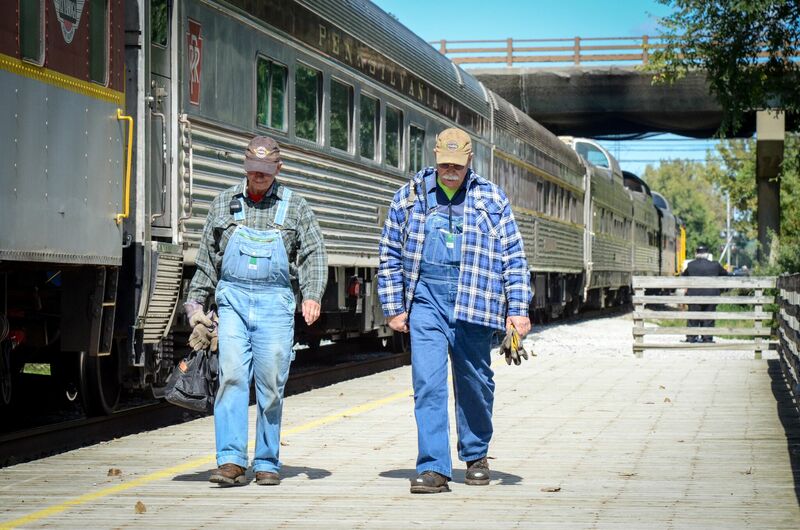 In the third quarter CVSR volunteers logged over 23,490 hours, equivalent to 978 days! Logged hours include on the train, assisting with special events and train maintenance. 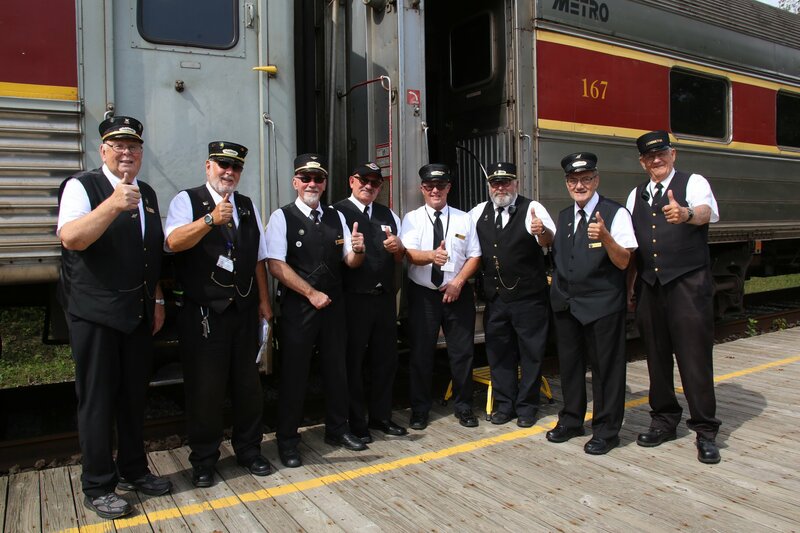 In early May, CVSR surpassed one million volunteer hours during the first quarter of 2018 for a total of 1,00,065 hours since 1999, when records are available. Thank You for Choosing to Ride CVSR! 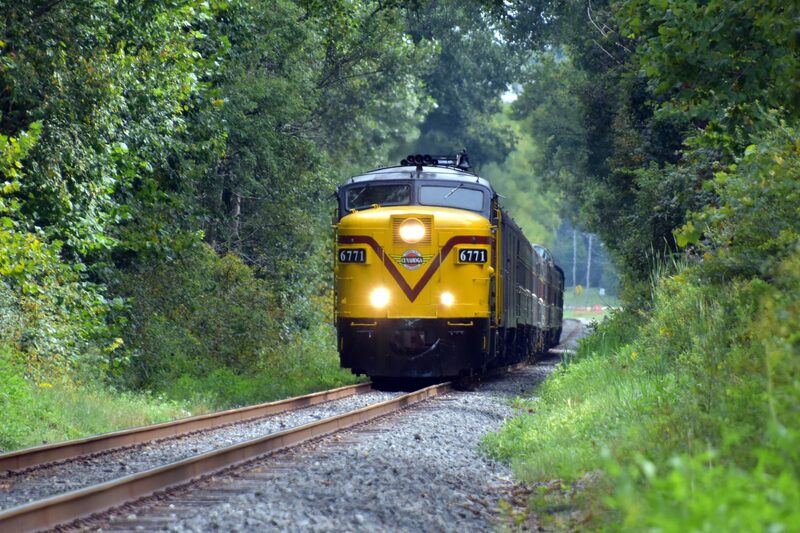 We’d like to thank everyone who rode the train and volunteered this summer and fall. 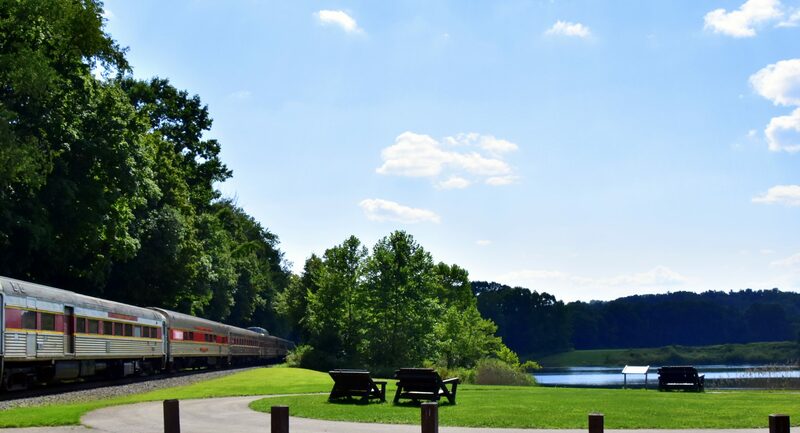 Without the support of our passengers, volunteers, and donors, Cuyahoga Valley Scenic Railroad would not be able to continue to provide educational and fun-filled excursions! In November, the train will only run two loops on Saturdays and Sundays, with special events like Mr. Jingeling and Christmas Tree Adventure on select weekends. The train will not run in December and part of January. Train service will resume on weekends starting in mid-January. Early 2019 will bring new programming like our revamped Friday night dining program, and bring back more Family Fun Loop excursions due to popular demand. Grape Escape and Ales and Rails will also be running on select weekends in the winter and spring! Follow our Facebook, Twitter and Instagram for updates and new events!